Whole Foods to the rescue! Daughter and I were headed out to a baby shower yesterday and realized that we had no cake to eat at the party. Normally, I don’t really care about eating at these things. I usually eat beforehand so I’m not tempted. Daughter has learned to do the same. But she wanted to have some cake and I’ll admit it, I wanted something sweet. I didn’t have time to bake and we were on our way so we stopped at Whole Foods and grabbed a package of their vanilla cupcakes with vanilla buttercream frosting. When the cake for the party was served, it looked wonderful. It was chocolate with a chocolate mousse filling and everyone seemed to love it. Daughter and I broke out the cupcakes and tore into them right away. 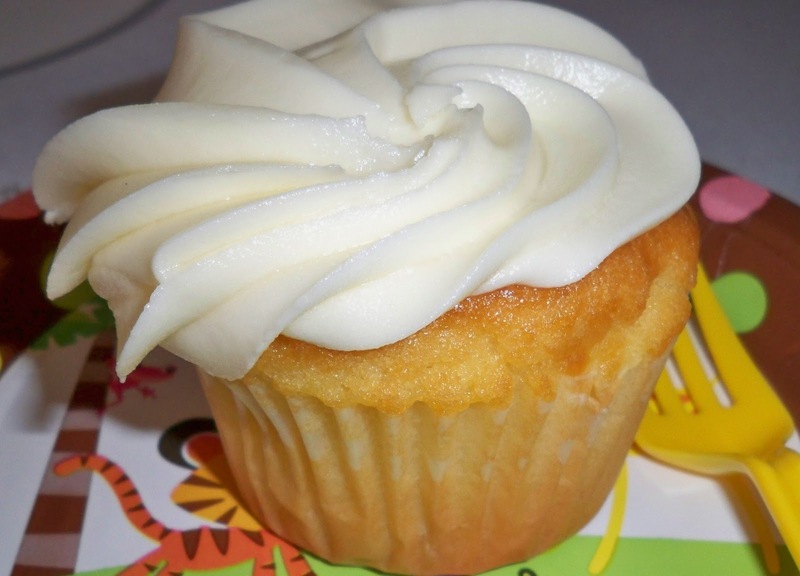 The cake was moist and yummy with a great cupcake texture. The icing was a bit sweet and overpowering, but I think next time I’ll just eat half the frosting and be done with it. For the most part, we didn’t feel deprived and it hit the spot. If we’re on our way to another party, I may grab the chocolate for a change of pace. These are large cupcakes, which is good but, at $8.99 for 4 cupcakes, that won’t be happening very often. It’s much more cost-effective to make our own, but for a quick cupcake…not bad at all! There’s a New Biscuit in Town! Fantasy author Cassandra Jade shares her thoughts on writing and the advice she finds on her writing journey.